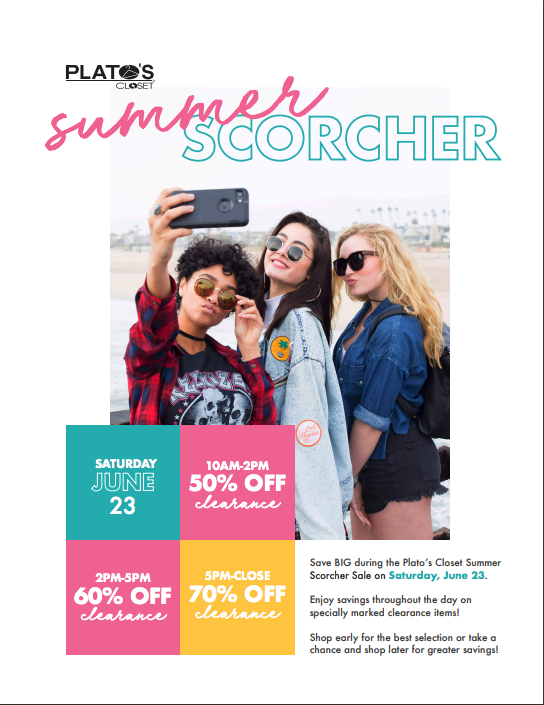 On Saturday, June 23, the Paoli Plato’s Closet will be having their annual Summer Scorcher Sale! All items in the store will be discounted. The percentage discount on items will increase as it gets later, so come earlier for the best selection, or later for the best discount!